These books explore the latest in research on thinking, learning, and critical thinking for the instructor in the classroom. Ambrose, Susan A., et al. How Learning Works: 7 Research-Based Principles for Smart Teaching. San Francisco: Jossey-Bass, 2010. 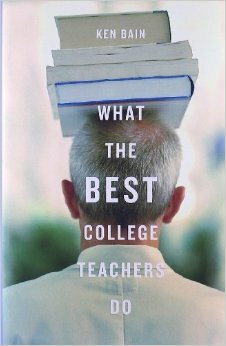 Written for college professors, the book presents learning concerns for university students, the research addressing those concerns, and practical strategies for addressing them. The areas covered include: prior knowledge, organization, motivation, master, practice and feedback, student development, course climate, and student self-direction. The writing is clear, the arguments made well-supported, and the strategies are practical and immediately useful in the classroom. Bain, Ken. What the Best College Teachers Do. Cambridge, MA: President and Fellows of Harvard College, 2004. The author makes that case that a great teacher cares about teaching and believes that everyone can learn. From this philosophical base, Bain builds his ideas for preparation, conducting class, student expectations, and evaluations, all illuminated by stories from other teachers. Bender, William N. Learning Disabilities: Characteristics, Identification, and Teaching Strategies, 6th ed. Boston: Pearson, 2007. Print. The author defines learning disabilities, presents their medical and behavioral aspects, discusses how disabilities affect classroom behavior and achievement, then presents interventions. An excellent introduction to disabilities as well as an ongoing resource for teachers and parents. Bowen, Jose Antonio Bowen. 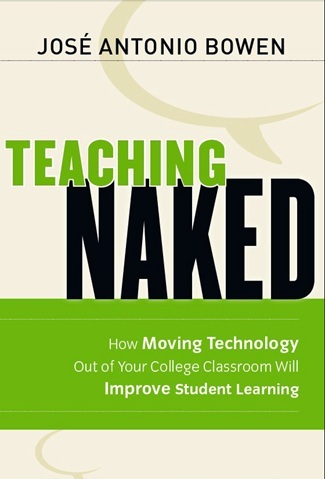 Teaching Naked: How Moving Technology Out of Your College Classroom Will Improve Student Learning. San Francisco: Jossey-Bass, 2012. While common practice is to insert as much technology into the classroom as possible, Bowen makes the excellent case that there are rich learning strategies (which he includes) that do not require computers. He offers that teaching “naked” is teacher and student face-to-face, and that technology is strongest when it is used outside of the classroom. Chuska, Kenneth R. Improving Classroom Questions, 2nd ed. Bloomington, IN: Phi Delta Kappa Educational Foundation, 2003. Print. Chuska’s point is that teacher questions get the students to think better. 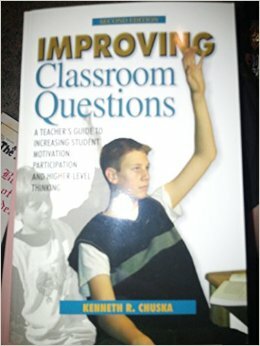 The book is not about the questions that students should be raising, but rather methods for teachers to write and frame questions that lead to better writing and discussion. The author suggests that most questions asked by teachers are fact-based and of little use in learning. Cochran-Smith, Marilyn and Susan L. Lytle. 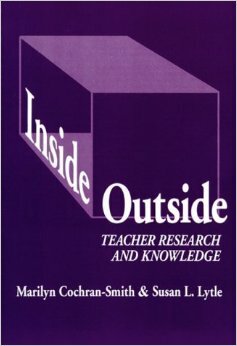 Inside/Outside: Teacher Research and Knowledge. New York: Teachers College, Columbia University, 1993. Print. Dana, Nancy Fichtman and Diane Yendol-Hoppey. The Reflective Educator’s Guide to Classroom Research: Learning to Teach and Teaching to Learn Through Practitioner Inquiry, 2nd ed. Thousand Oaks, CA: Corwin Press, 2009. Print. 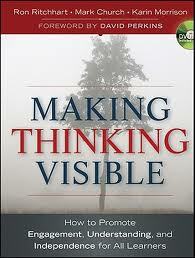 An excellent resource for action research. The authors clearly present strategies to help teachers develop ways to collect and use data from their own classrooms to improve instruction. Very useful for those beginning action research and contains tips for going even deeper for seasoned researchers. Gregory, Gayle H. and Carolyn Chapman. Differentiated Instructional Strategies: One Size Doesn’t Fit All. Thousand Oaks, CA: Corwin Press, 2007. Print. With the emphasis on diverse learners in the classroom, differentiation has become important in lesson planning. The authors offer means for assessing the climate of the classroom, knowing the individual learner, assessments, along with specific ideas for embedding differentiated instruction in each discipline. Includes a rationale for differentiated instruction (4), which critical thinking supports. They stress the need to make visible and refer constantly to the Essential Questions (7). Groome, Thomas H. Christian Religious Education: Sharing Our Story and Vision. San Francisco: Jossey-Bass, 1999. Print. Groome asserts that the purpose of Christian religious educators is “to lead people out ot the Kingdom of God in Jesus Christ” (35). To this end, he advocates teaching Story/story, the Story of the people and how our own personal story is a part of the big Story. Includes excellent sections on Habermas and Friere. hooks addresses the need for critical thinking through the lens of critical pedagogy. hooks reflects on teaching as an act of social justice and the need for the instructor to educate for freedom through engaged pedagogy. Of importance is her focus on the needs of the students and strategies that can foster freedom in the classroom. 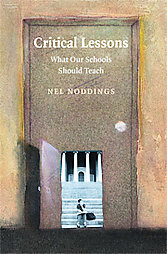 hooks advocates “radical pedagogy” (9), teaching for the freedom of both the student and the teacher. She asserts the need to bring out the voice of the student and not having it stifled in the classroom by social expectations. The text leads the reader to the conclusion that a true teacher is ultimately a liberator. Kohn, Alfie. “Choices and Children: Why and How to Let Students Decide.” Phi Delta Kappan: 8-20, 1993. Print. Marzano, Robert J., Debra J. Pickering and Jane E. Pollock. Classroom Instruction that Works: Research-Based Strategies for Increasing Student Achievement. Alexandria, VA: Association for Supervision and Curriculum Development, 2001. Print. Too often, teachers use strategies that seem to bring about positive results, but are not based in research. Here, the authors present nine simple but powerful strategies that can quickly be used in the class with the knowledge that they work for the students. This edition, while useful, has been added to and revised in the second edition by Ceri B. Dean, et al. Meyers, Ellen and Frances, O’Connell Rust, eds. Taking Action with Teacher Research. Portsmouth, NH: Heinemann, 2003. Print. This is a collection of action research stories by teachers. The strength of the book is that action research strategies are made discipline-specific which allows the reader to conceptualize how action research might look in their own classroom. Noddings, Nell. Educating for Intelligent Belief or Unbelief. New York: Teachers College Press, 1993. Print. Postman, Neil. The End of Education: Redefining the Value of School. New York: Vintage Books, 1995. Print. Postman is concerned with entropy in education, that it is stuck in the past. “All children enter school as question marks and leave as period” (70), he notes on a section about questions. He focuses on the importance of definitions, critical thinking, rewriting, rich texts, and learning the difference between information vs. understanding through the use of questions. Purpel, David E. Moral Outrage in Education. New York: Peter Lang, 1999. Print. Purpel, David E. and William M. McLaurin, Jr. Reflections on the Moral & Spiritual Crisis in Education. New York: Peter Lang Publishing, Inc., 2004. Print. Ritchhart, Ron, Mark Church and Karin Morrison. Making Thinking Visible: How to Promote Engagement, Understanding, and Independence for All Learners. San Francisco: Jossey-Bass, 2011. Print. Shapiro, H. Svi and David E. Purpel. Critical Social Issues in American Education: Democracy and Meaning in a Globalizing World, 3rd ed. New York: Routledge, 2005. Print. An excellent introduction to differentiation, stressing flexibility of strategies rooted in assessment. She stresses constant monitoring and adjusting according to differences in readiness, interest, and learning needs. “Each learner must make meaning” (8) kicks off the book. Later, the author emphasizes the importance of advanced learning needing to be challenged (11-12), something that critical thinking does. Finally, she urges the teacher to keep the lessons “coherent, relevant, powerful, transferable, authentic, and meaningful,” (49) which again is a strength of critical thinking. Tishman, Shari, David N. Perkins, and Eileen Jay. 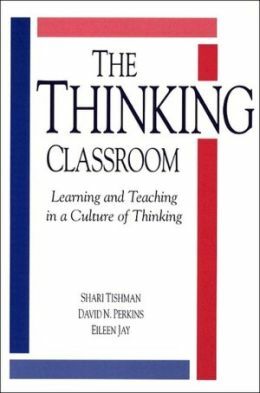 The Thinking Classroom: Learning and Teaching in a Culture of Thinking. Boston: Allyn and Bacon, 1995. Print. Tomlinson, Carol Ann. 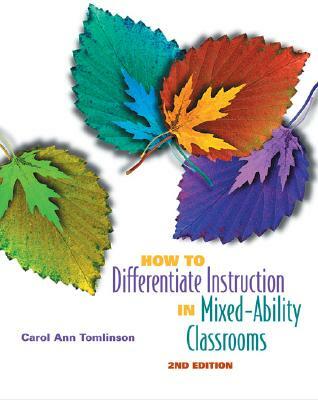 How to Differentiate Instruction in Mixed-Ability Classrooms,2nd Ed. Upper Saddle River, NJ: Pearson Education, Inc., 2005. Print. When critical thinking strategies are employed, differentiation happens in the classroom. Tomlinson offers a primer on what differentiation is, what it does, and gives examples of excellent lessons that allow all students to only learn, but to thrive.